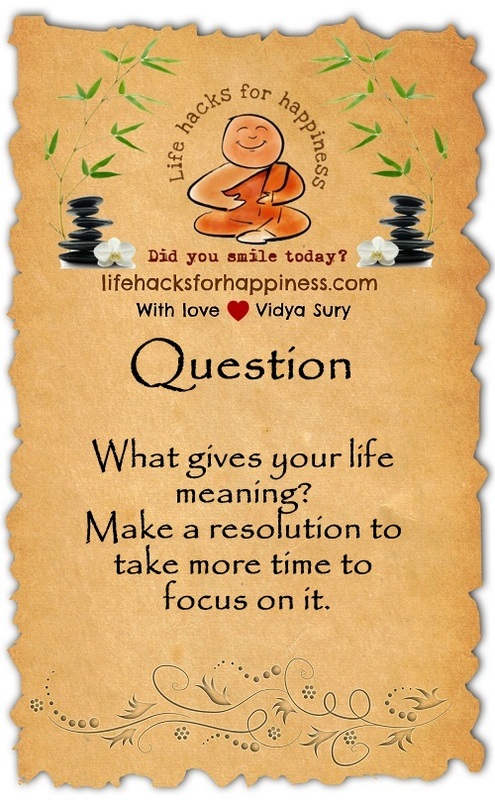 What gives your life meaning? Make a resolution to take more time to focus on it. Did you hug yourself today?